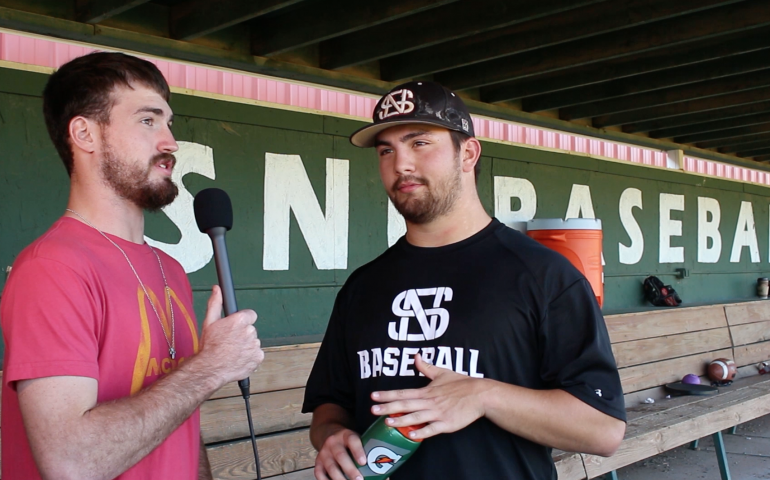 The Southern Nazarene baseball team is currently competing in the Fall Steak Series. Coach Robert Lee explained that each Fall, two captains are selected who draft teams for the SNU roster and compete against each other in a three game series. The winning team in the series gets a steak dinner prepared by the coaches while the losing team eats hot dogs. Prof. Jim Smith, Echo Faculty Advisor Prof. Smith is a professor of Mass Communication at SNU where he has been on the faculty for 25 years. His greatest passion is seeing students develop and grow passions of their own. Next PostShort-Order Poems: Why Do We Need Poetry?